Mis objetos de deseo de Opening Ceremony. En sentido del reloj: Alexander Wang mocasines, Rachel Comey para Opening Ceremony, Robert Clergerie, Chloe para Opening Ceremony. My objects of desire at openingceremony.com. 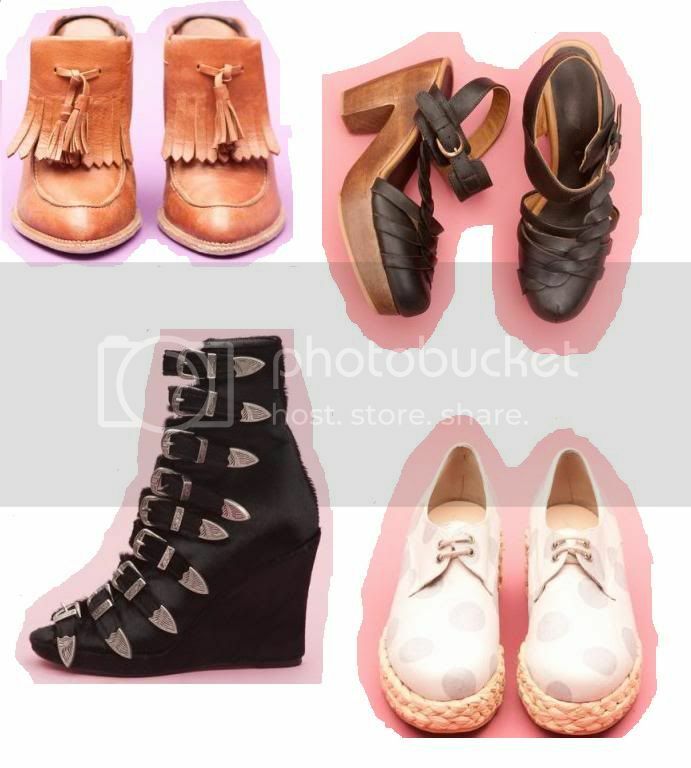 Clockwise from top left: Alexander Wang loafers/wedges, Rachel Comey for Opening Ceremony, Robert Clergerie, Chloe for Opening Ceremony.